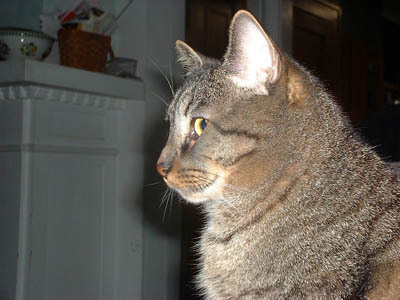 leland was a very sweet cat, and i will miss him. rest in peace. may you get to play "outside" as often as you wish. We loved you. i never got to meet him, but i feel like i knew him. we're very sorry for your loss. wow, i've been so busy with my own stuff, i havent been checking in on your blog as much as i usually do. i'm very sorry for your loss, and i hope you're doing well.